Google Maps users may soon find it easier to plan a trip on some of England and Wales's waterways. The US search engine has teamed up with the Canal and River Trust, a charity that will be in charge of the two countries' water network from July. The deal includes updating Google Maps to include 2,000 miles of canal and river paths. The map allows users to enter their address or postcode and discover their nearest canal. The map shows the locations of canals, canal locks and bridges. The map also displays other useful information, such as volunteering opportunities, places to eat and drink and boating services and moorings. Google are also working with the Canal and River Trust to capture Street View imagery of the UK's canal and river network. Currently, waterways are not listed on Google Maps as active routes people can use to move about. "Say, I'm by a canal in Paddington and I want to go to Camden, and I put this information into Google Maps as a walking route - it wouldn't send me to the canal, even though it's a nice green route to get there, it would send me by road," the Trust's spokesman Jonathan Ludford told the BBC. The charity will be working with Google to identify all the access points to the waterways, as well as all the bridges and tunnels, he added. 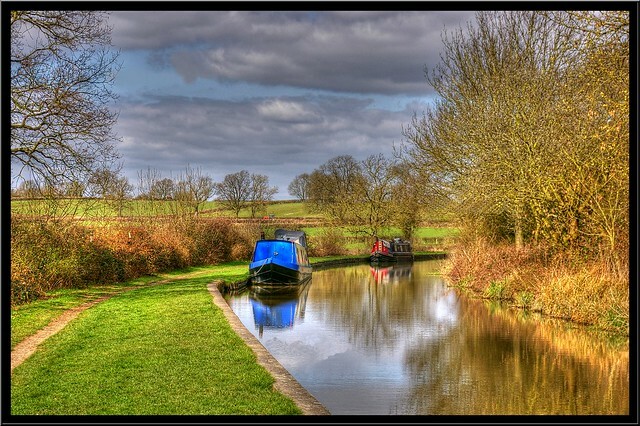 "It's a very exciting project - Google is basically putting the canal network of England and Wales on the map, and people will be able to put in a route and if it's appropriate to go by canal, they would go by canal," he said. " A lot of people live by canals, and we want them to use these canals - so to have Google promoting the waterways is a really exciting initiative." Once the data is on Google Maps, waterways will become alternative, possibly traffic-free, routes through towns and cities of England and Wales. "Canal towpaths offer green routes through our towns and cities, and by working with the Canal and River Trust we're adding towpaths to Google Maps and encouraging people to discover their local waterway," said Ed Parsons, geospatial technologist at Google UK.